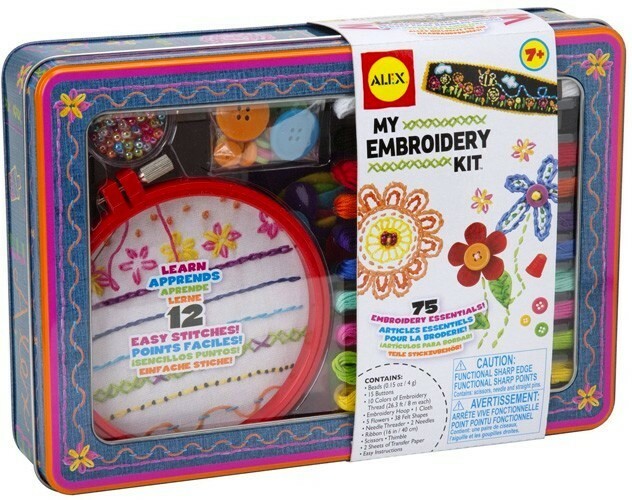 The Alex Toys Craft Embroidery Kit keeps little fingers busy as they learn about the amazing world of embroidery. The excitement begins with an easy headband project and continues with learning 12 embroidery stitches to embellish outfits. Using the included illustrated instructions, children can learn how to work with a needle and thread for years to come as well as foster their imagination and creativity. 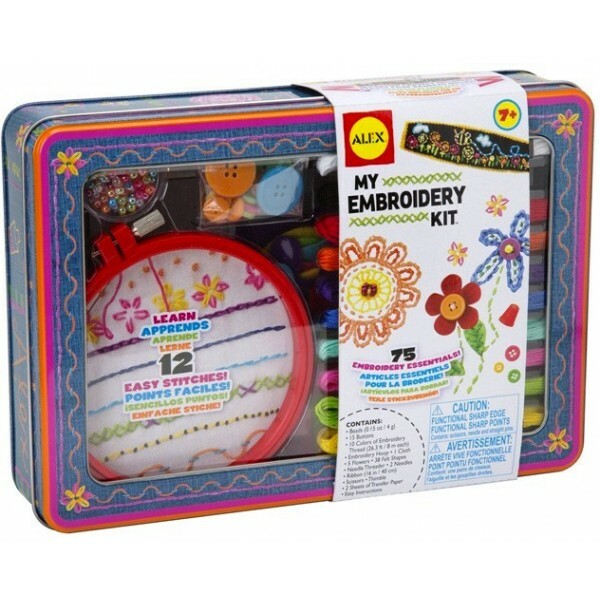 The set includes a variety of different beads and buttons, 10 colors of embroidery thread, an embroidery hoop, a practice cloth, 38 felt shapes, two needles, a needle threader, scissors, a thimble, transfer paper and step-by-step instructions. It even comes in an adorable keepsake tin that's perfect for storage when not in use. 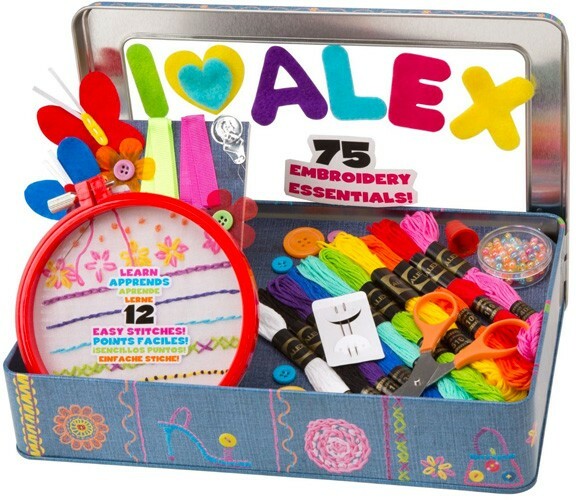 The Alex Toys Craft Embroidery Kit was the recipient of the Dr. Toy 2013 Best Picks Award and the Parents' Choice Approved Award.